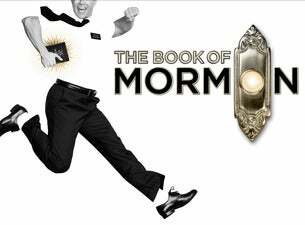 The New York Times calls it “the best musical of this century.” The Washington Post says, “It is the kind of evening that restores your faith in musicals.” And Entertainment Weekly says, “Grade A: the funniest musical of all time.” It’s The Book of Mormon, the nine-time Tony Award®-winning Best Musical. This outrageous musical comedy follows the misadventures of a mismatched pair of missionaries, sent on a mission to a place that’s about as far from Salt Lake City as you can get. Now with sold out productions in London, on Broadway, North America, Melbourne and Sydney, The Book of Mormon has truly become an international sensation.